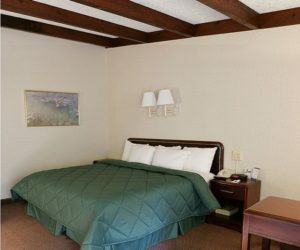 If you are building a pergola right next to your house or another structure, you might consider mounting the upper pergola framing to the wall. 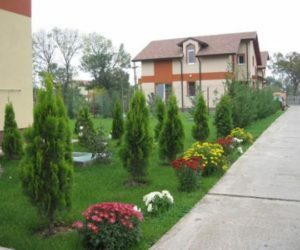 This might be particularly helpful in a small exterior space, so that you don’t lose valuable pergola square footage. 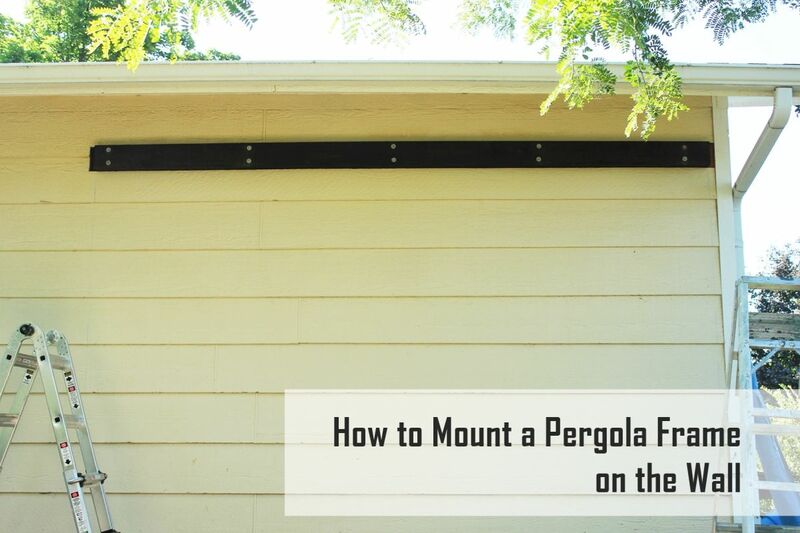 This tutorial will walk you through the process of wall-mounting a pergola frame so you can decide if it would be a good move for your space. 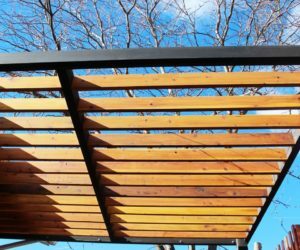 Before you begin this process, you need to know the precise lumber you’ll be using for your pergola frame. 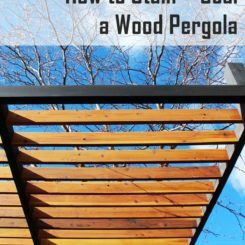 In this example, the modern pergola frame will be 2×6 redwood. 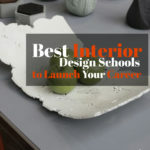 Map out precisely where the two corners will hit the wall, then measure and mark these positions. 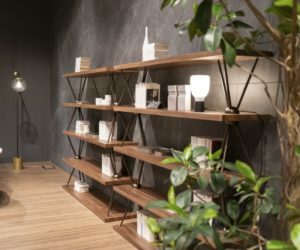 The exactness of these marks is imperative, because they will be the foundation for your entire wall mount. So take care and be accurate. 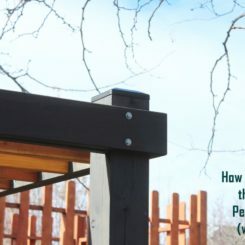 If you are aligning the upper pergola frame with posts or with a lower concrete-mount frame, be sure the lower positions are marked. 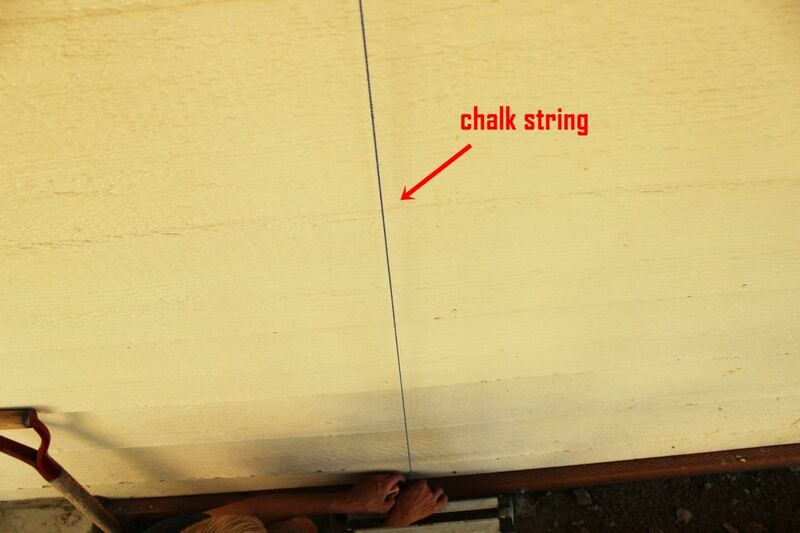 Use a chalk string to mark the position. 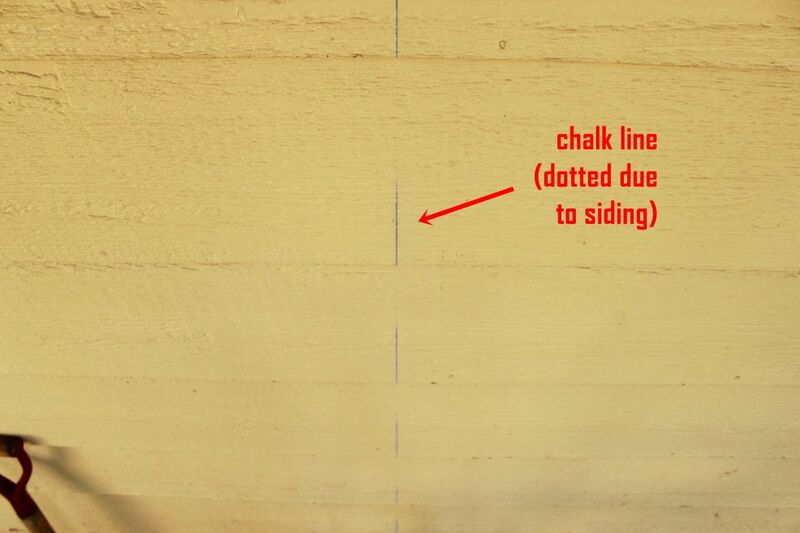 Chalk lines work well on uneven surfaces, such as wood siding, much better than trying to draw the line along a ruler or something similar. 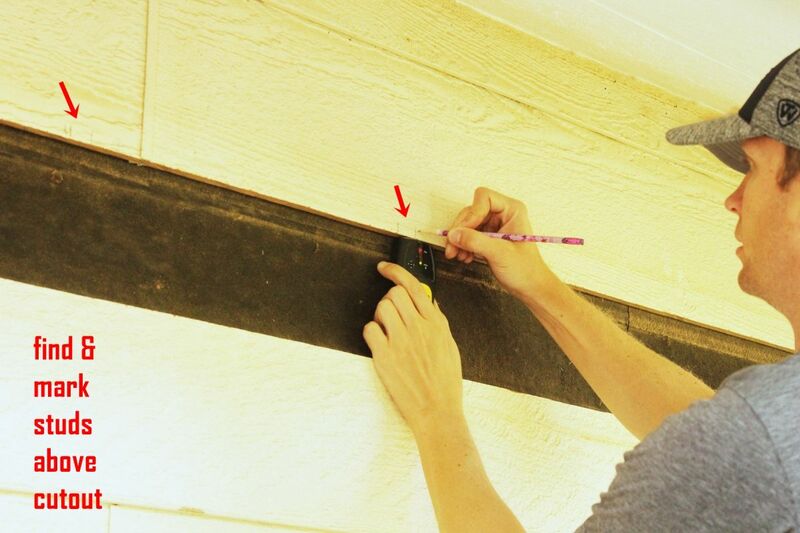 Use a level against the chalk line, if you receive peace of mind knowing your measurements and markings are exact. 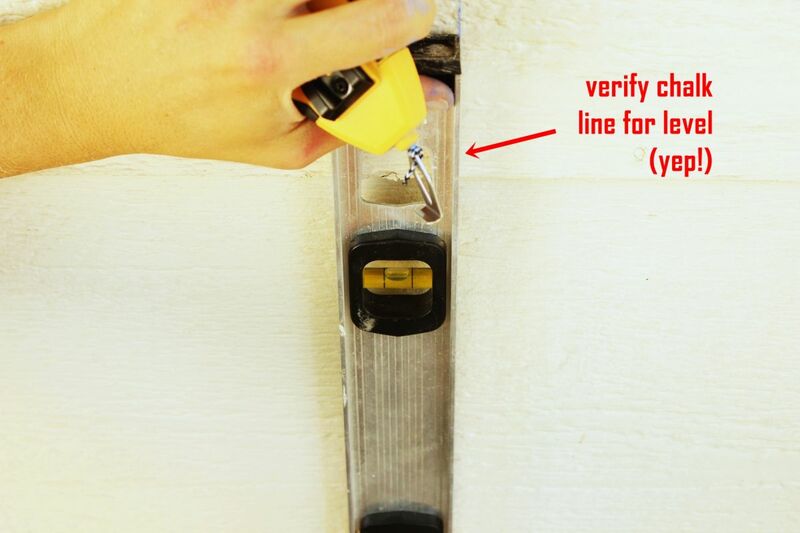 If your chalk line for some reason isn’t level, now is the time to fix your marks or measures until it is. 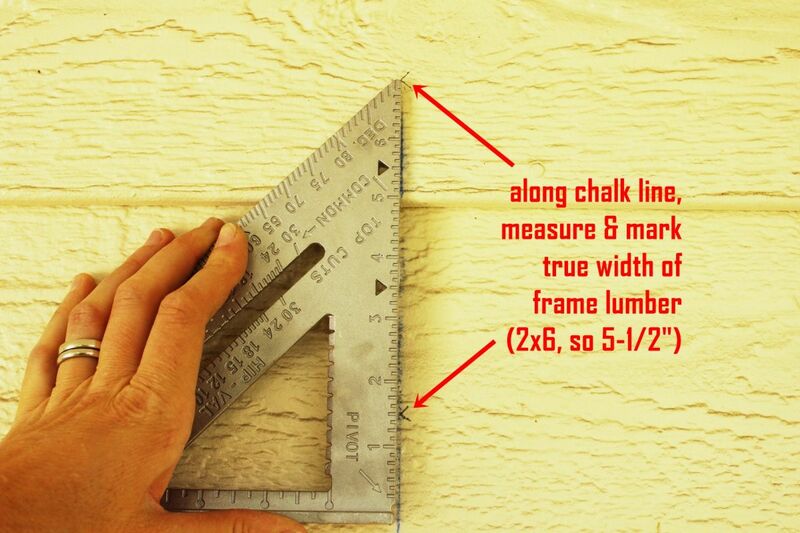 Measure and mark the precise width of your framing lumber. 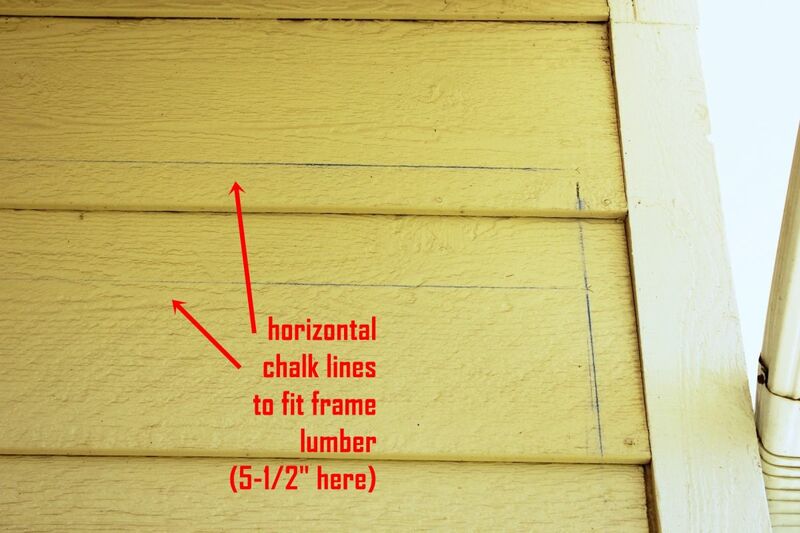 In this case, 2×6 redwood will be the frame, so 5-1/2” (true width) was marked along both vertical chalk lines. Strike two chalk lines at the upper and lower points you just marked. 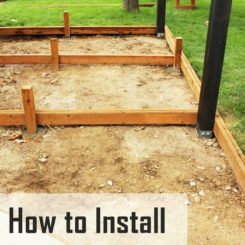 You should now have an exactly sized chalk outline of your pergola frame lumber. 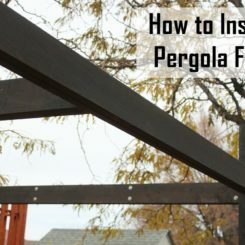 You could opt to mount the pergola frame directly to your siding itself. 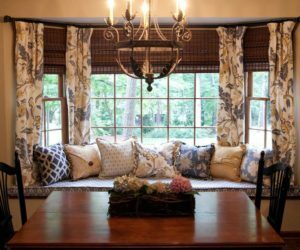 However, we recommend removing siding in this area so that the frame will mount flush to the wall and be much more secure. 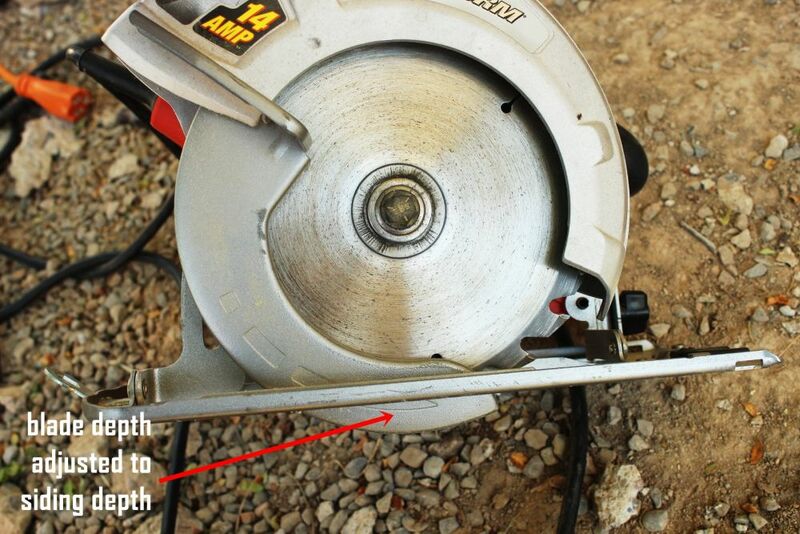 To do this, adjust the depth of your circular saw blade to the depth of your siding. Double check the blade clearance. 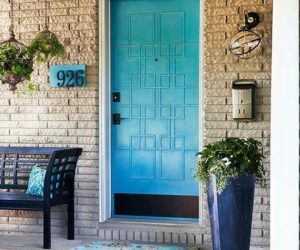 You want it to go all the way through the siding, but not much (if any) beyond that. 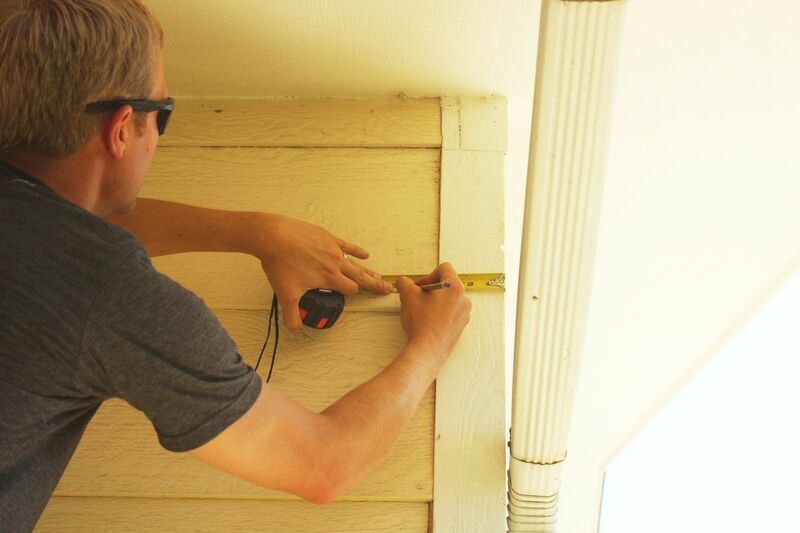 When your circular saw is adjusted and ready, use it to carefully cut out the siding along your chalk line. 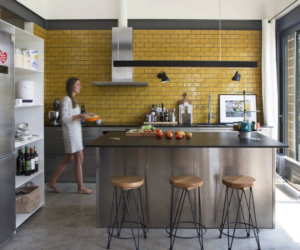 Use care and caution in this step, as you may need to hold the blade guard lever up as you cut for more precise cutting action. 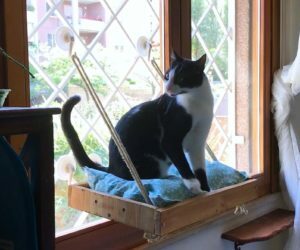 Tip: Use two ladders, and have a helper “leapfrog” the ladders along your way so you don’t need to climb down the ladder after each cut; instead, you can just step from one ladder to the next for greater efficiency. 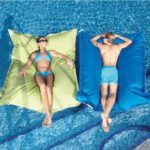 Take care not to overcut the corners, because these will be visible. 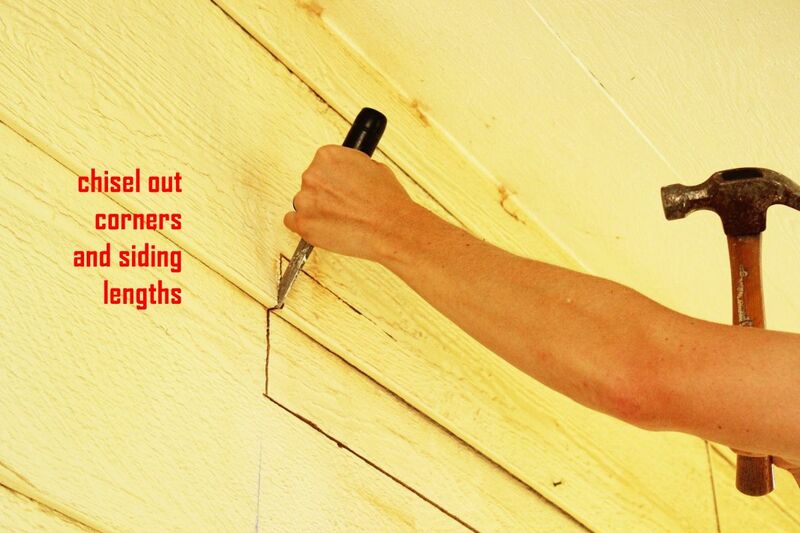 Any cuts into siding will also expose the insides and increase the potential for damage. 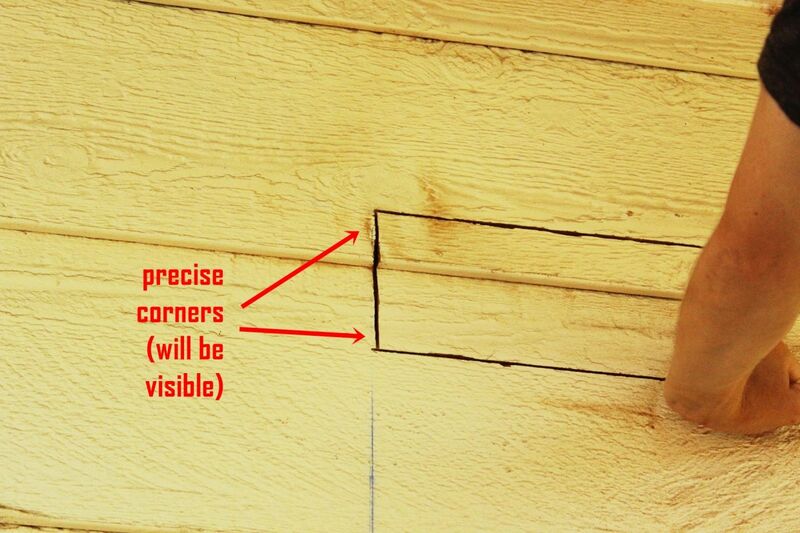 Use a chisel to cut the corners precisely and begin the siding removal process. 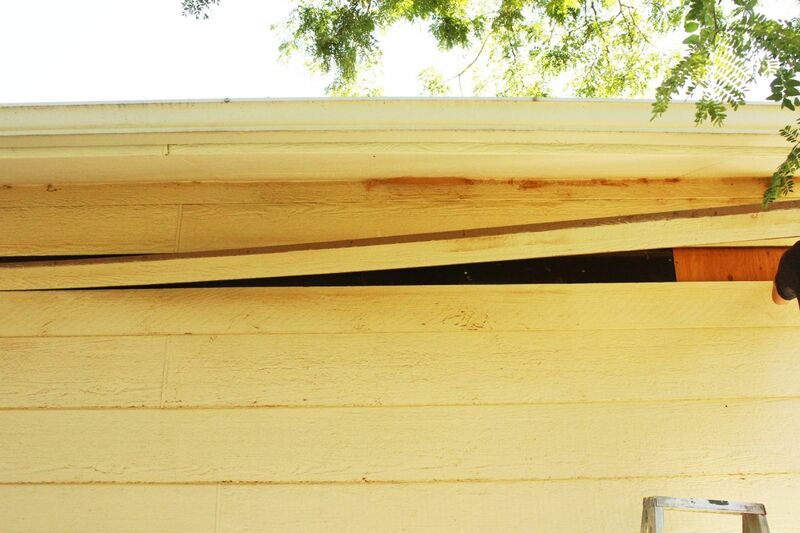 Remove the siding carefully. 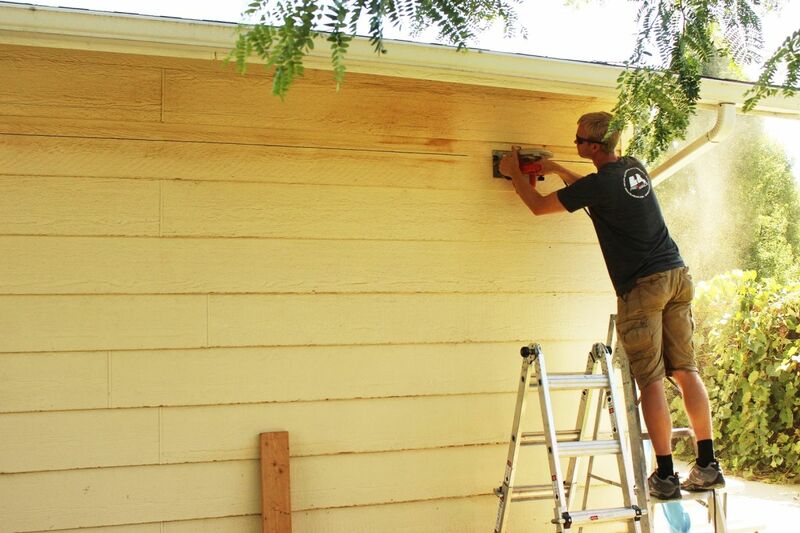 Be sure the siding is cleanly cut all the way through so you don’t end up pulling off surrounding siding areas. 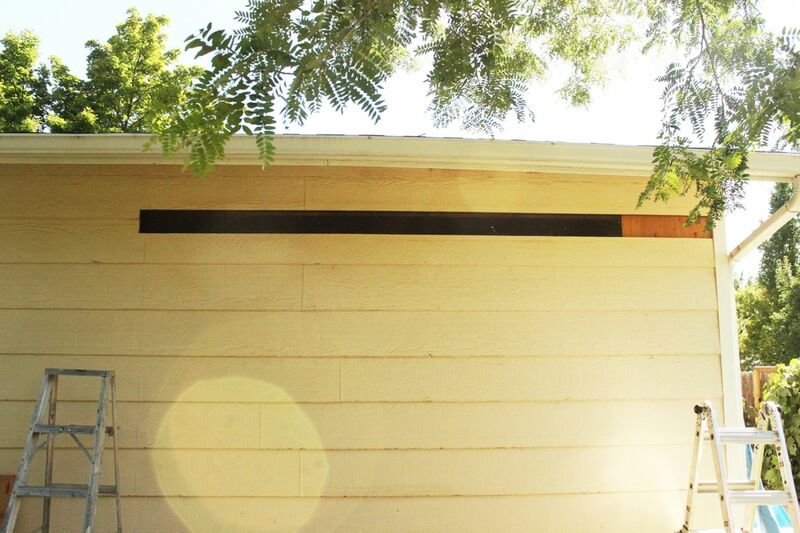 This siding is being removed, exposing the plywood below. 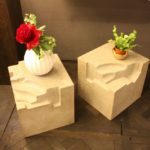 Be sure that the exposed surface is completely flat; use your chisel or whatever you need to use to make it flat and clean. 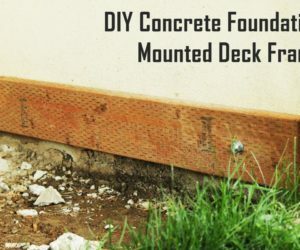 Corners are often overlooked in situations like this, but corners are critical for a flush mount of your pergola frame board. 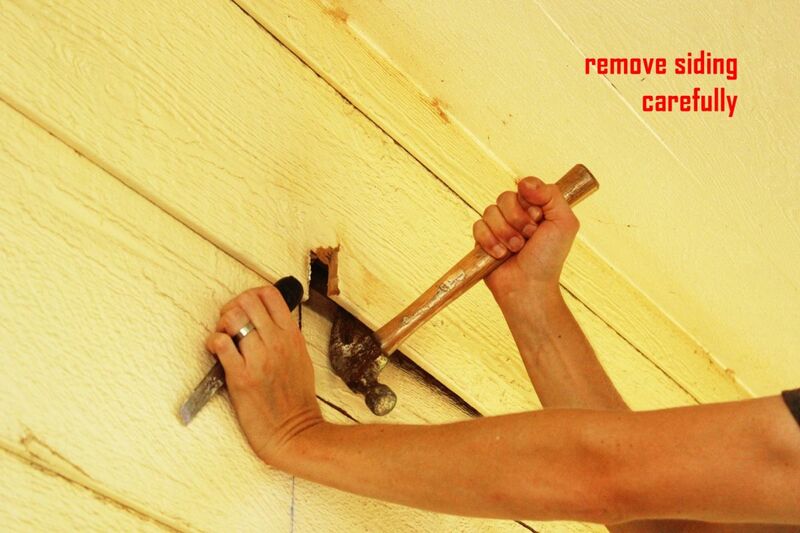 Here is your piece of siding removed. 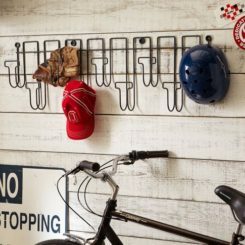 It should snugly fit your pergola frame board. 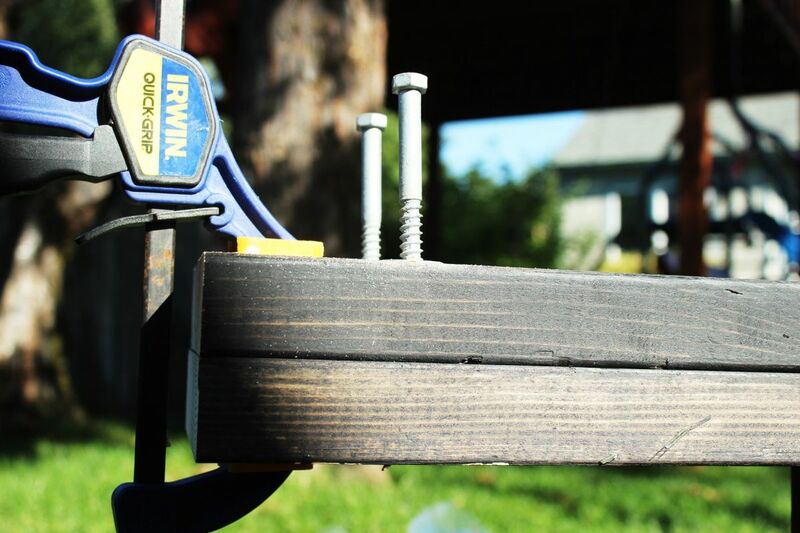 Always measure, mark, and cut to the true size of your lumber. 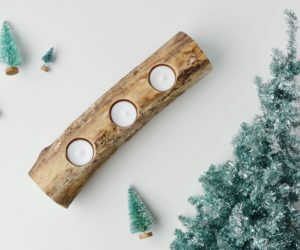 Wood’s listed size (e.g., 2×6) is likely different from its true size (e.g., 1-1/2” x 5-1/2”). 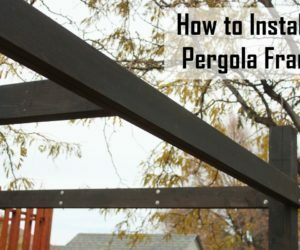 Before you install your wall-mounted pergola frame, you’ll need to know where the studs are on the wall itself so you can mount directly to studs. 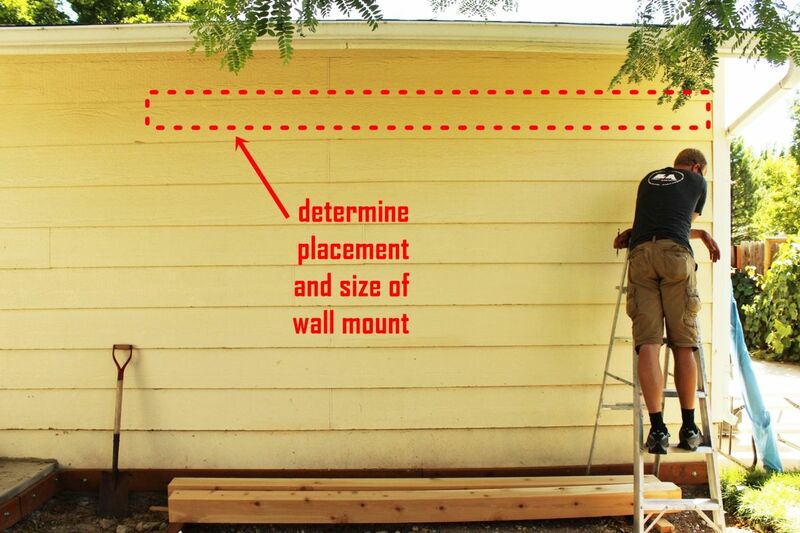 Use a stud-finder and mark the position of each stud above the cutout area. 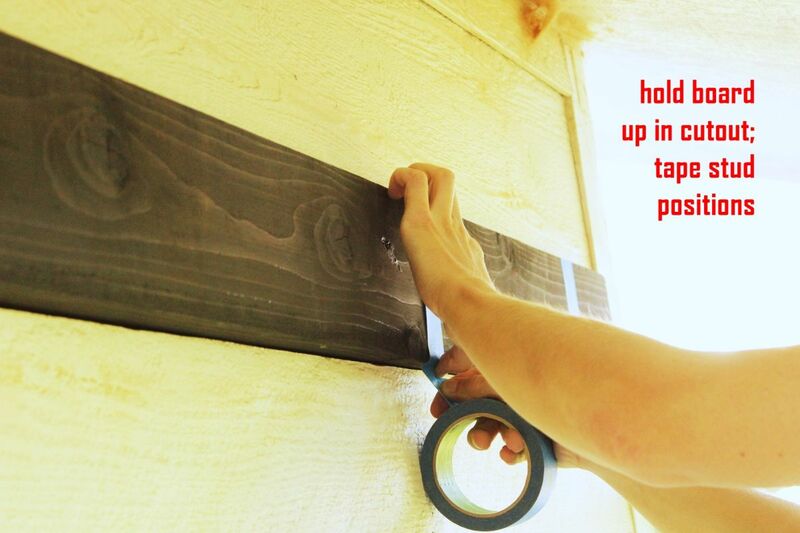 This allows you to see the stud positions when the board is in place in the cutout. 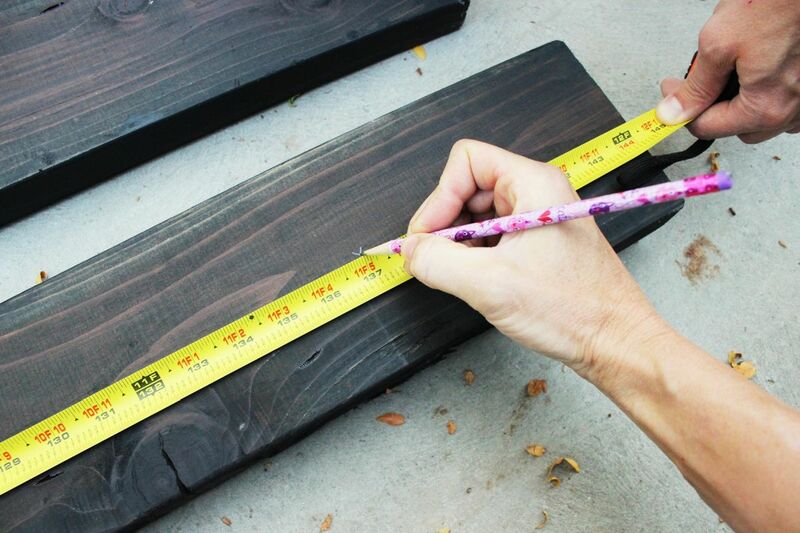 Measure and mark the length of your pergola frame board onto two redwood (or cedar) boards. 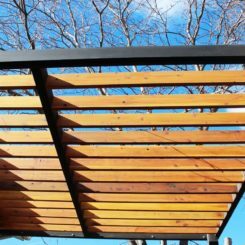 Use the same type of lumber that you’ll be using on the rest of your pergola. 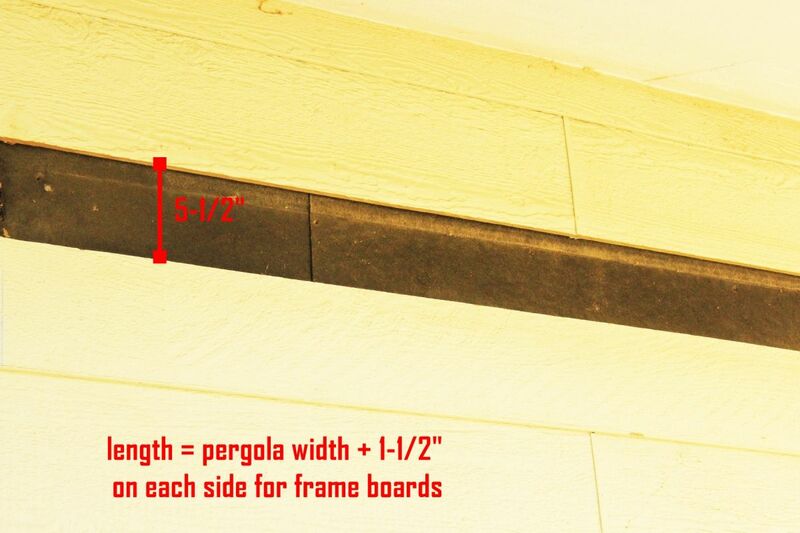 In this case, a 1-1/2” gap is included on both sides of the cutout for a 2×6 part of the pergola frame. 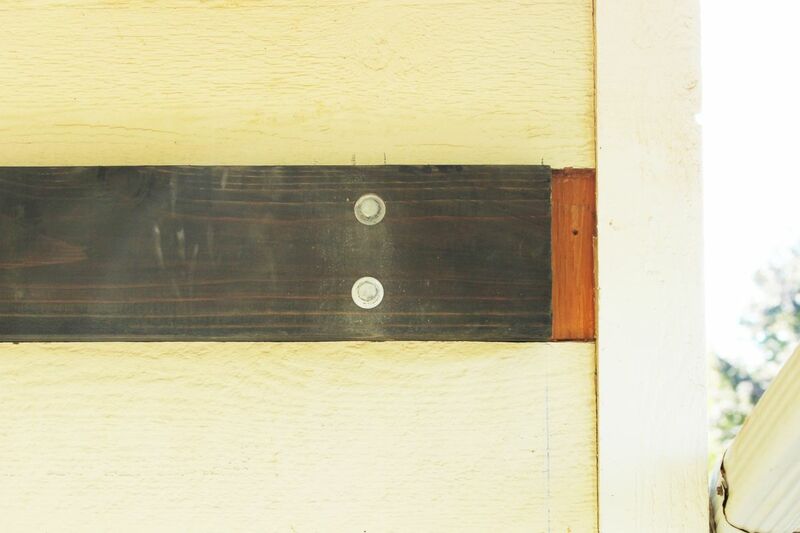 In other words, the true length of the wall-mount board is 3” less than the length of the cutout. 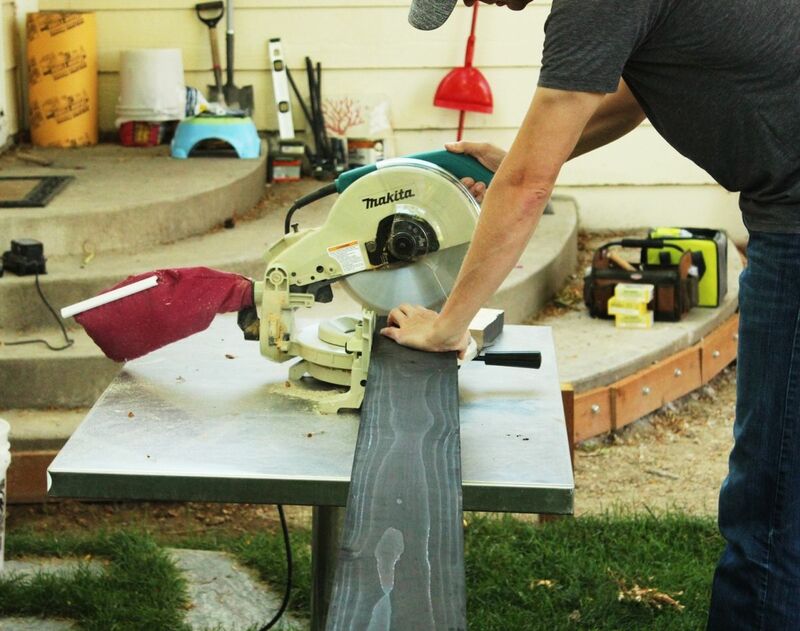 Use a miter saw to cut both pieces of lumber. 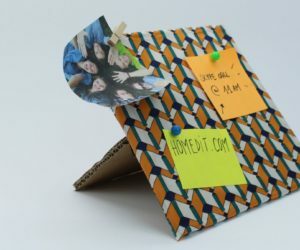 Note: You might find it easier, more efficient, and less messy to finish your boards before mounting them to the wall. 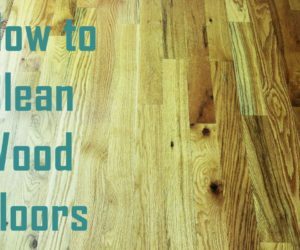 This includes staining, painting, and/or sealing as per your taste. Have a helper or two help you hold the board up precisely in place in the cutout. 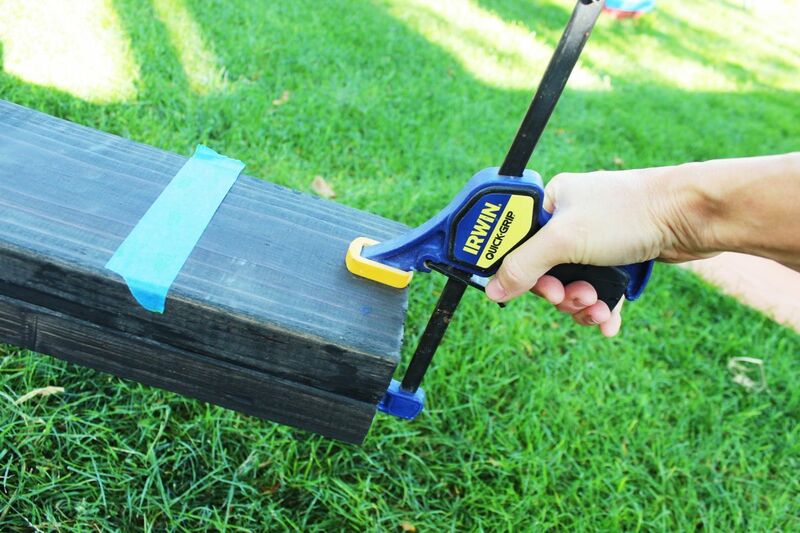 Use masking or painters’ tape to mark stud positions on one of your cut boards. 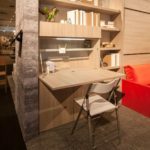 Specifically, it should be the board that will be the visible wood for your pergola frame. 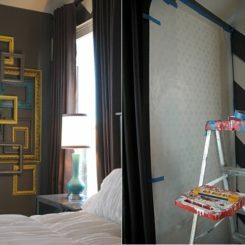 Stack your two pieces of cut lumber (cut to size to fit into your wall-mounting cutout) precisely together, with the taped board on top. 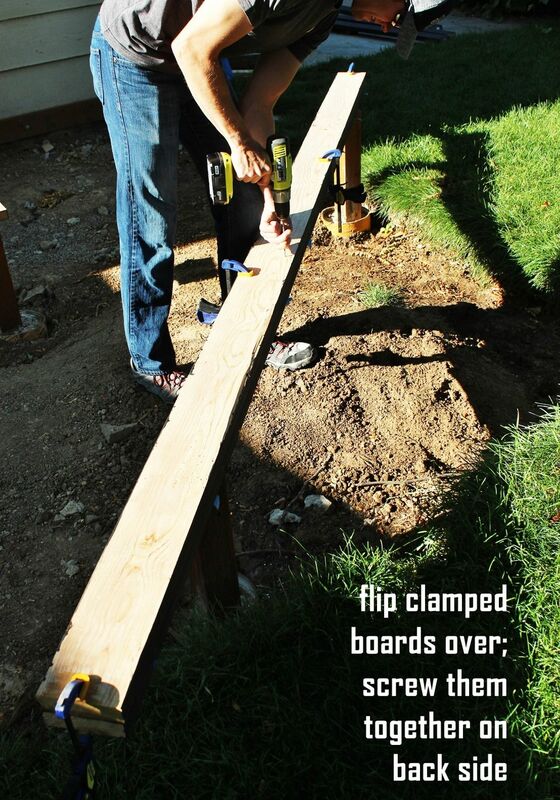 Clamp the boards together tightly. Keeping the clamps in place, carefully flip your board stack over so the underside (e.g., the side that will be touching the wall when mounted; the side that no one will ever see; the side that is un-stained for that reason). 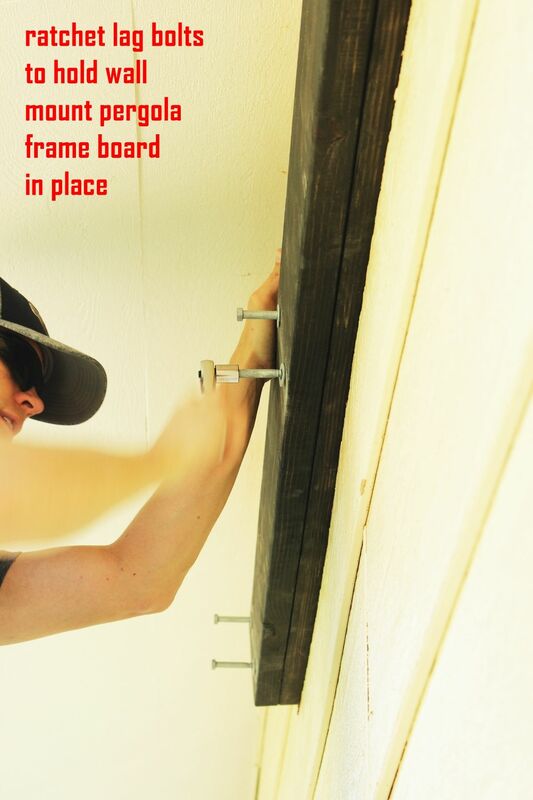 Install 2-1/2” exterior wood screws to keep the boards together during the mounting process. Recommend installing a couple of screws every 18”-24” or so. Flip your boards back over. 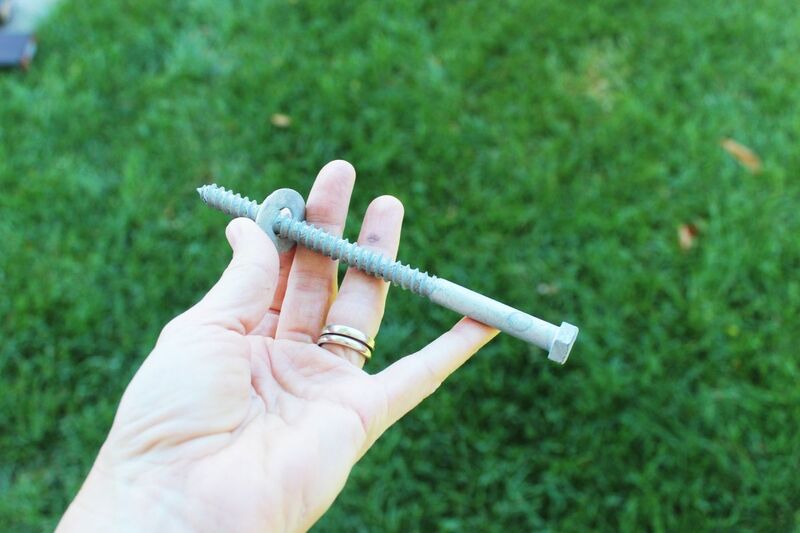 Use a drill bit that is slightly smaller than your lag bolts (recommend 5”-6” lag bolts, 3/8” size, with washers) to mark the stud positions for every stud that you will be mounting your board to. 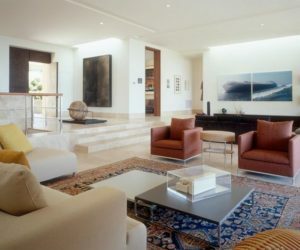 In this example, lag bolts will be installed onto every other stud. 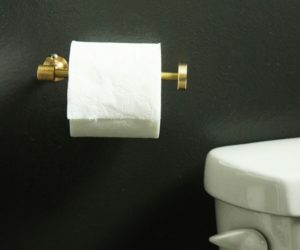 Remove the tape. 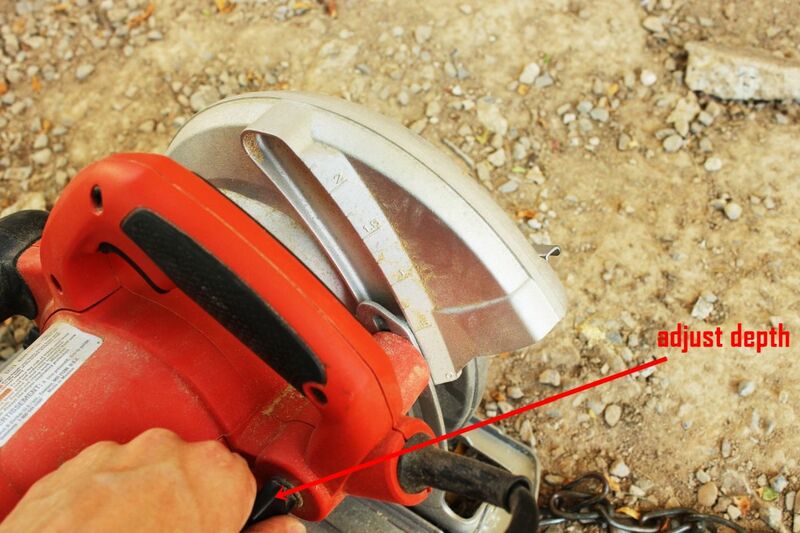 Your drill marks should be visible but not deep. 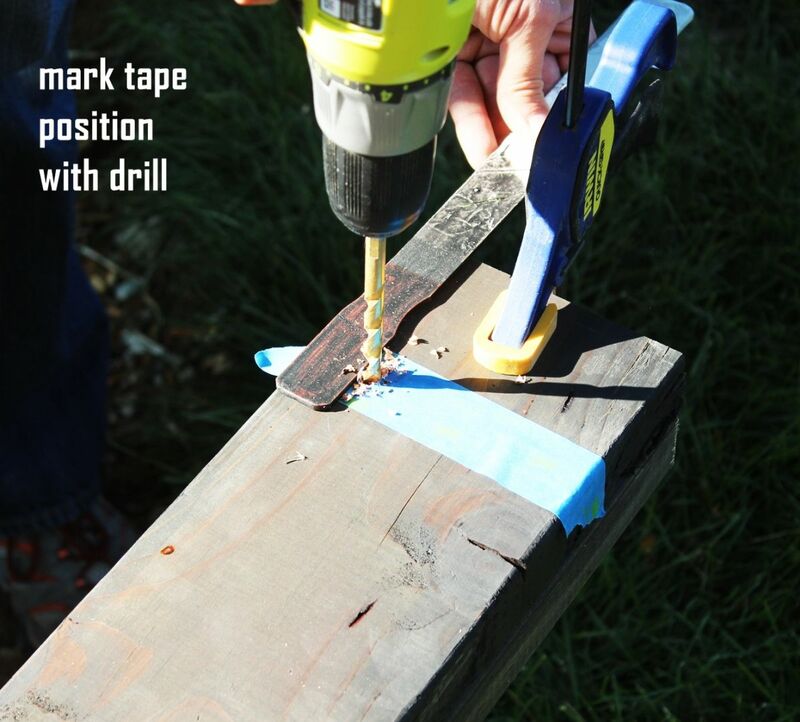 With the tape removed, use your drill to predrill all the way through both boards (which are screwed together, so they’re like one board at this point). 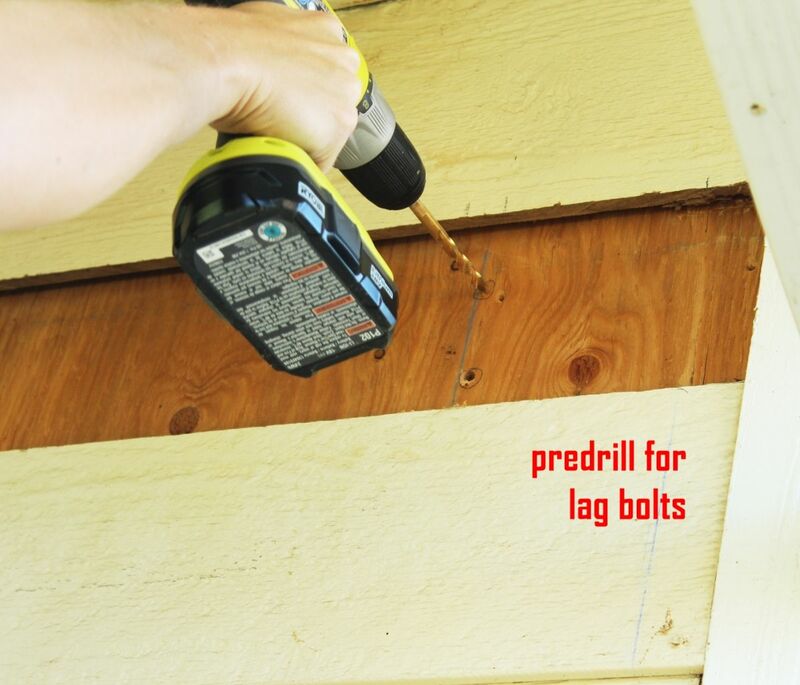 With all your lag bolt holes predrilled, it’s time to mount the board to the wall. Always put a washer on the lag bolts before placing them onto the board. 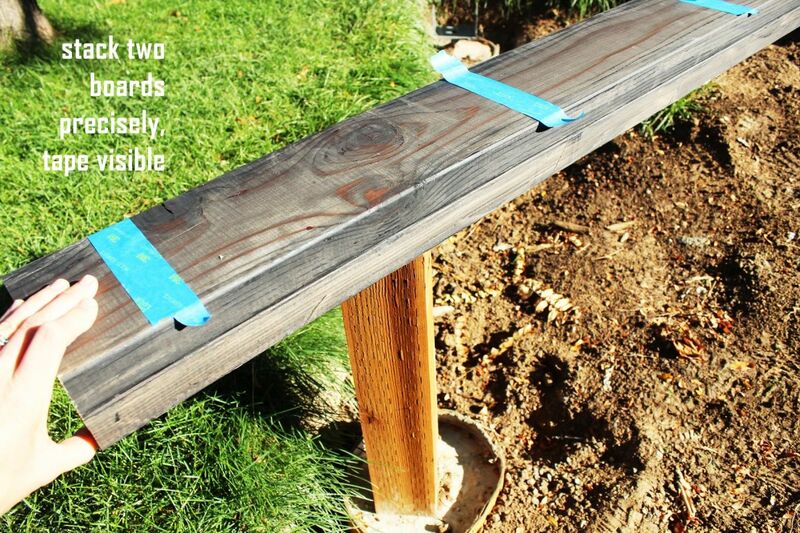 With the boards still on your work surface, use a ratchet to tighten the bolts through both pieces of lumber. 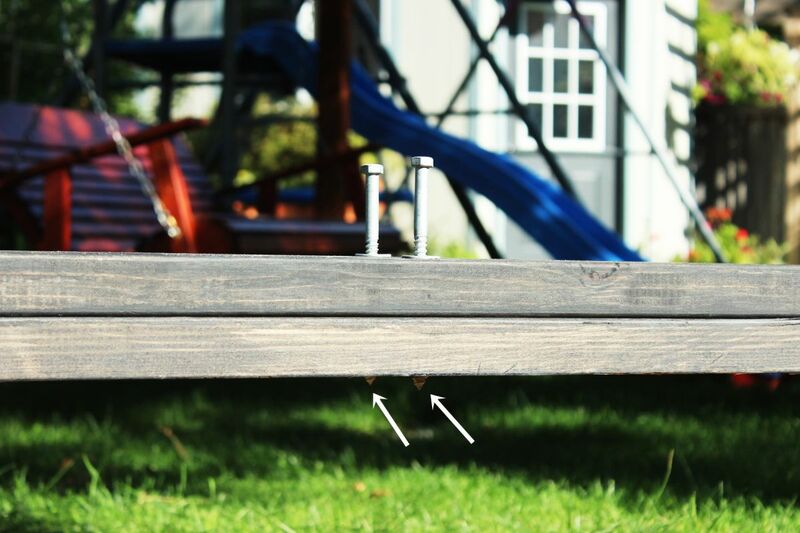 You want about 1/2″ of the bolt tips coming out the back side of your boards. 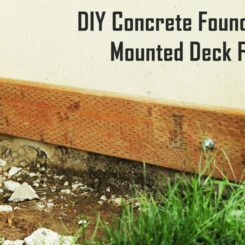 When they are, lift your pergola frame boards up into the cutout and position them perfectly in place. 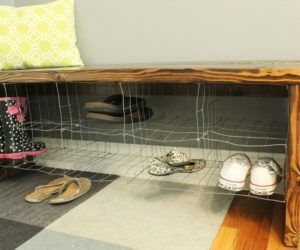 Use a mallet or something similar to firmly pound the board into place; pound near each set of bolts. Set the frame boards back down on the ground. 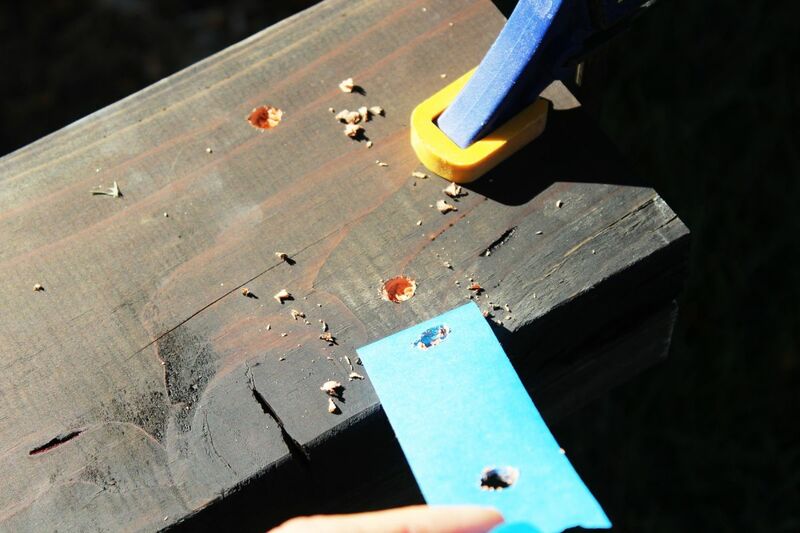 Although it probably felt like a pain to do, that pounding method was an efficient way to accurately mark the precision positions of your lag bolts on the frame boards. 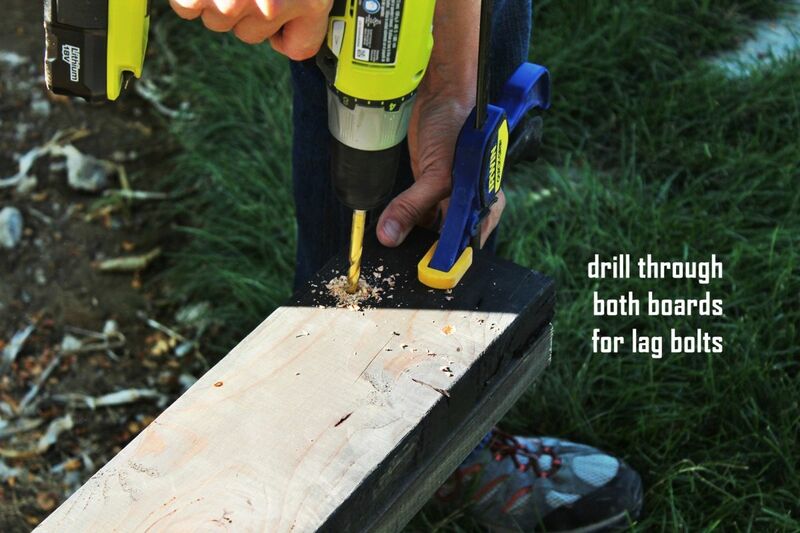 You can now predrill for the lag bolts through the cutout into the studs on the other side. 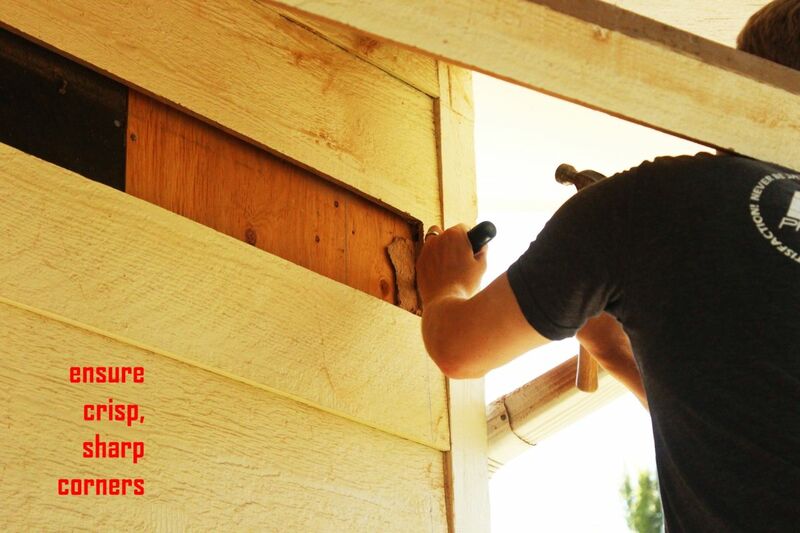 Loosen each lag bolt just until the bolt tip is not exposed anymore out the back side of the boards. With your lag bolt positions predrilled, it’s now time to mount the actual pergola frame into the cutout. Have a helper or two hold the boards level and flush, then ratchet the lag bolts into the predrilled holes and, consequently, the studs. Work from the middle of the boards outward, checking for and ensuring level and flush after the very first lag bolt placement. 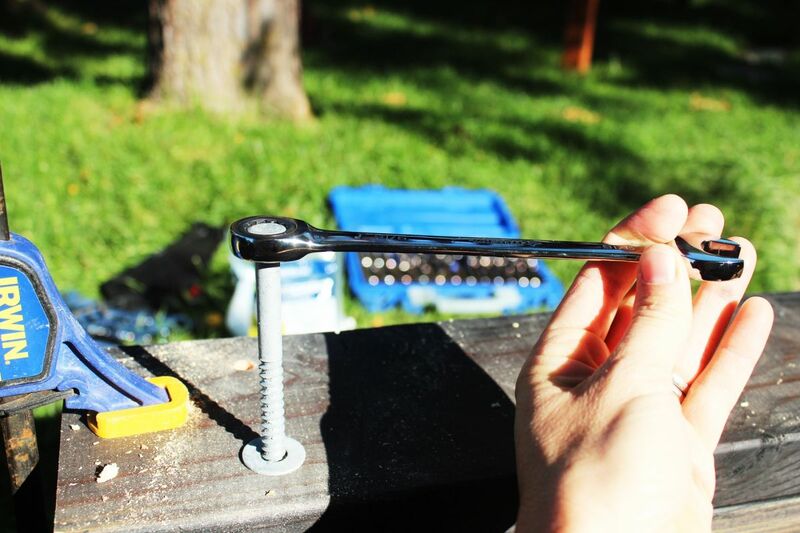 Once the second bolt is in place, your level-ness is pretty much established. Continue ratcheting until the lag bolts are as tight as you can make them. Congratulations! 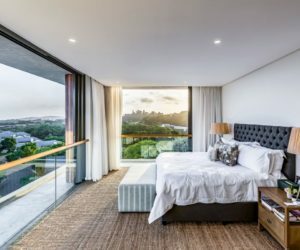 You’ve just installed a wall mount for a pergola frame. 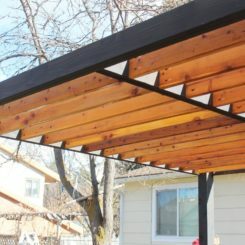 This is such an efficient way to do a pergola in a small exterior space, maximizing every square foot. 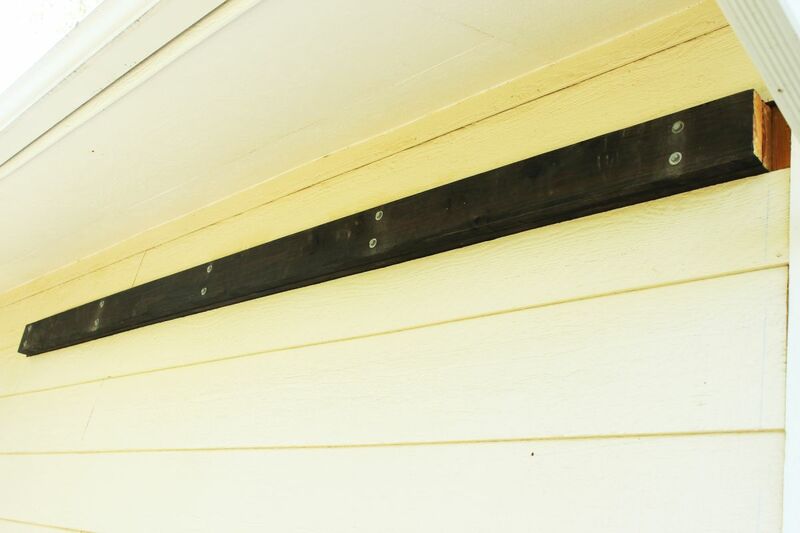 It may not look like much now, but this wall mount is going to play a key role in creating your beautiful redwood pergola.